An Australian drag promoter has posted on social media about financial issues and complaints from past talent, leaving their future tours in question. Kweer Touring & Events, who have toured a number of drag performers from across the world during the past 2 years, took to Facebook to address some concerns in an official statement from Dr Pete J Smith. “Firstly, we want to take this time to formally apologise to the talent who money is still owed to,” the statement reads. 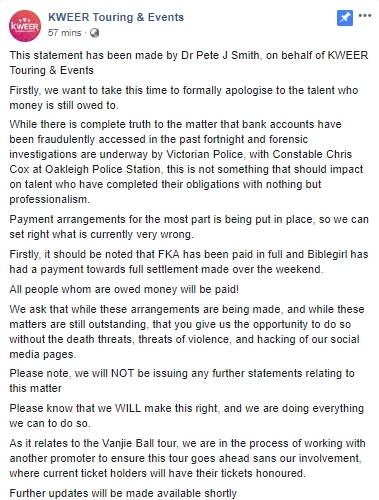 Some past hires have taken to social media to accuse Kweer T&E of non-payments, including Biblegirl and FKA who recently appeared as part of Kweer Expo and the Beauty and a Beat tour on the east coast. 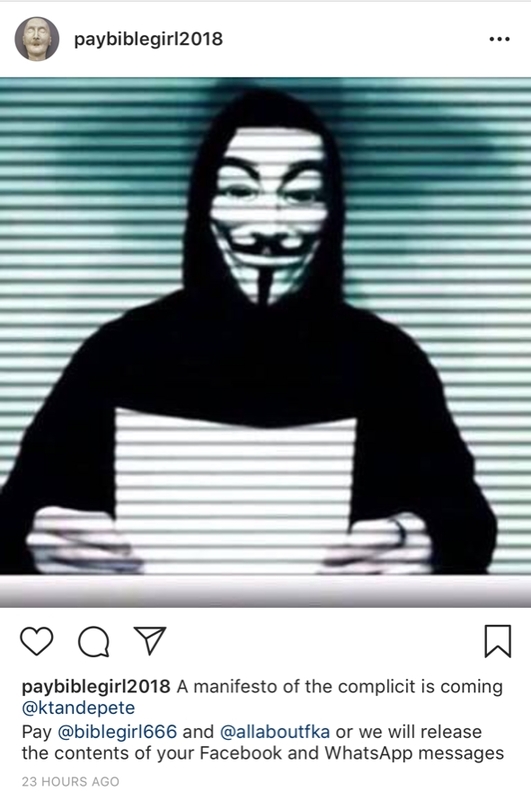 Smith goes on to say that he has arranged payment for the international stars, and that he and his staff have been subjected to death threats, threats of violence and hacking. The statement also addresses the company’s upcoming tour with RuPaul’s Drag Race star Vanessa Vanjie Mateo, which was set to take place at The Court Hotel this October. Management at The Court Hotel had not been contacted by Kweer Touring & Events regarding the announcement. Speaking to OUTinPerth, Smith says he is unsure if Kweer Touring & Events will continue. “While we would like to think that we can get past this, and move forward, and give people a reason to believe that we have made appropriate changes to the way our business operates,” Smith said.